The development and exploration of space are technical engineering and scientific pursuits. However, politics determine which space programmes and projects are pursued, and establish cost, performance and schedule parameters for these ends. The goal of this volume is to provide an overview of the politics of space with regard to national space efforts, and the role played by national and international organizations. 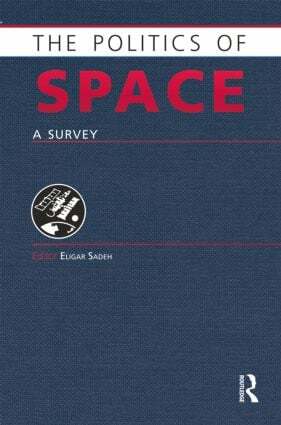 The Politics of Space: A Survey includes essays written by experts in the field, which explore a variety of issues, including the Politics of Space, National Security Space, Developed Space Programmes, Moderate Space Powers, Commercial Space Actors, International Organizations in Civil Space Affairs, Non-governmental Space Organizations and Public Sector Actors. Following the essays a comprehensive glossary of cross-referenced entries focuses on space organizations, including national space agencies, governmental organizations with a role in space, intergovernmental organizations, space and aerospace companies, satellite communications service companies and non-governmental organizations. Illustrations and documentation, comprising figures, tables and documentation on key issues of space politics are also included. Important figures include: models of space political processes; issues related to national security space management, challenges and environment; geopolitics of space; the dynamics of relations between the government and commercial space sectors. Tables of significance highlight programmatic attributes of national security space, comparisons in the development of space programmes among states worldwide, and the functions and roles of international organizations that deal with space. Documentation covers texts of space policy and law related to the regime of international space law, European space programmes and a number of other organizations. Eligar Sadeh is President of Astroconsulting International, which addresses challenges facing Security, Civil and Commercial space by providing Organizational Consulting, Research of Best Practices, Professional Education and Workforce Development. Eligar also serves as a Research Associate with the Center for Space Studies at the University of Colorado, Colorado Springs, and as Editor of the academic journal Astropolitics published by Taylor and Francis, Routledge. Eligar held professorships in Space and Defense Studies at the University of North Dakota and at the United States Air Force Academy, and worked for Lockheed Martin as a Space Systems Engineer. He served as well as a Research Associate with the Eisenhower Center for Space and Defense Studies at the United States Air Force Academy and with the Space Policy Institute at George Washington University. Eligar has a number of publications, including Space Strategy for the 21st Century (2011) and Space Politics and Policy: An Evolutionary Perspective (2003).